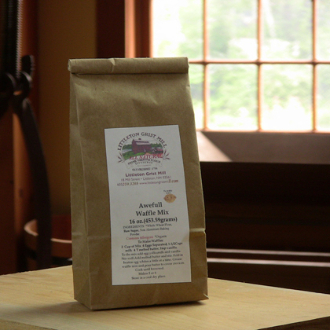 The "Awefull Waffle" mix is made of our whole wheat flour and contains all the nutrients of the whole grain. Serve with fresh fruit or pure maple syrup for a superb treat. Can be made with a Belgian or regular waffle iron.